Hydration type - 2 x 500mL Women Flasks. Will accomodate a 1.5L reservoir (not included). Female specific fit, and uniquely shaped 500mL soft flasks for increased comfort. Large stash pockets up front for fuel, gloves, etc, and zipper secured pockets on the side to hold a phone, or other gear. 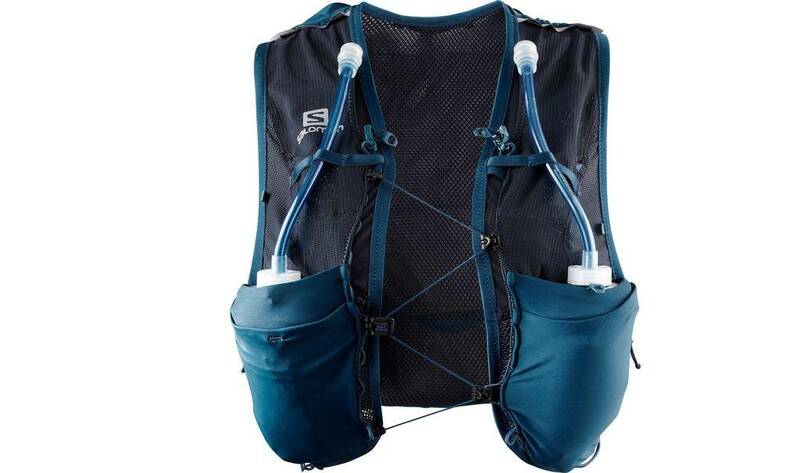 Large stash pocket, and secured space on the back combine to carry enough for long self-supported runs, and mandatory kit for most ultramarathons. 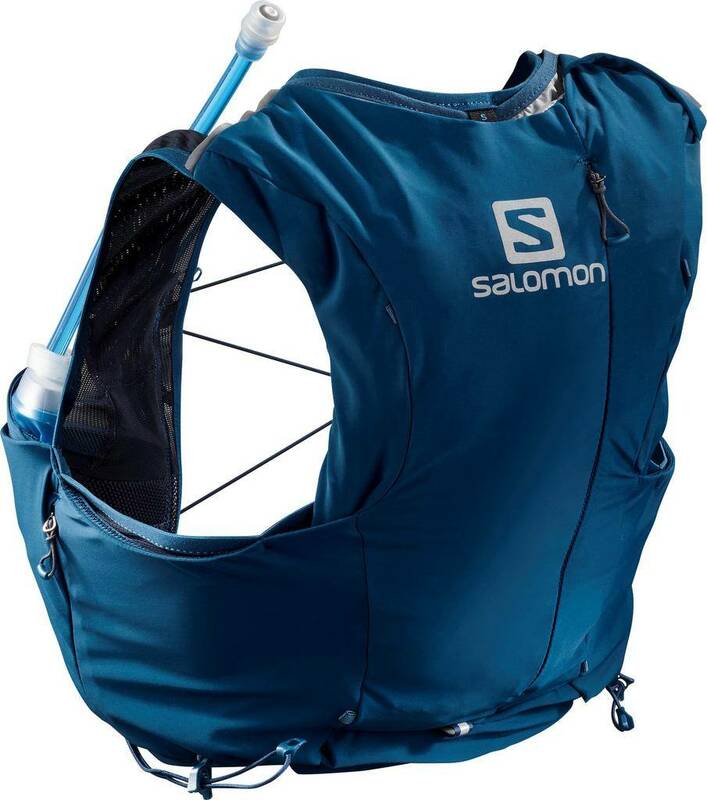 Elastic loops will hold poles horizontally across the lower back, or the pack will work with Salomon's custom quiver to hold poles. Traditional shaped soft flasks won't securely fit in the pockets. New female specific sizing does not correspond with previous Advanced Skin Set sizing.